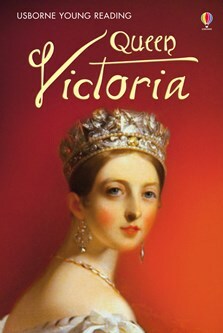 A lively and intriguing biography of Queen Victoria, from her difficult and lonely childhood to her life as one of the most powerful women in the world. Fascinating photographs and a family tree are supplemented with internet links which allow the reader to find out even more about the life and times of Queen Victoria. Part of the Usborne Reading Programme developed with reading experts at the University of Roehampton, this level is suitable for those ready to tackle longer and more complex text. This is the perfect introduction to Queen Victoria - there is a good amount of information with plenty to interest children as they gain an insight into this great queen.